Some of the guys from Ride have left to start up their own free BMX magazine called The Albion. I know Benson is involved and he’s not only a great rider but an excellent photographer to boot, so I’m sure the mag will be a winner. 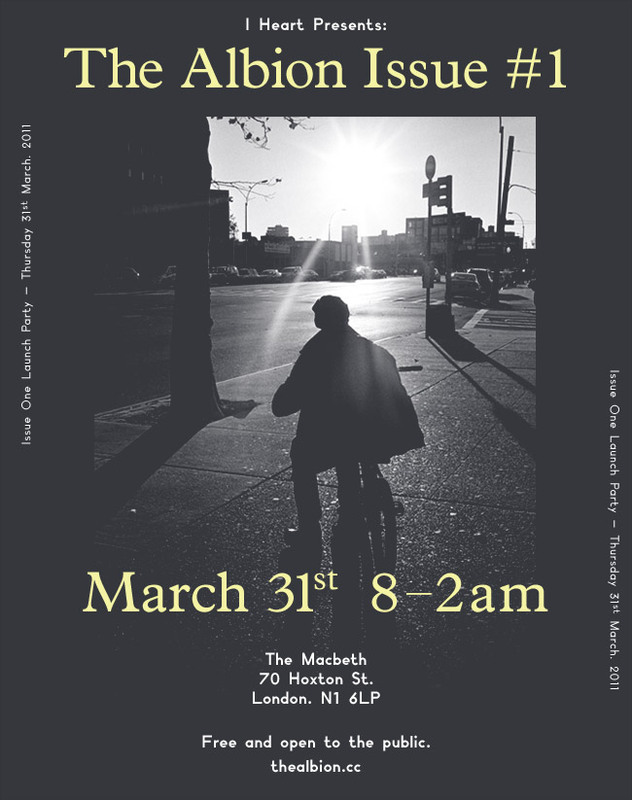 On March 31st, we’re putting on The Albion Magazine launch at the Macbeth. Come down and grab your free copy, eat free burgers from our rooftop BBQ and have a few beers. .Previously Is imitation the sincerest form of flattery?